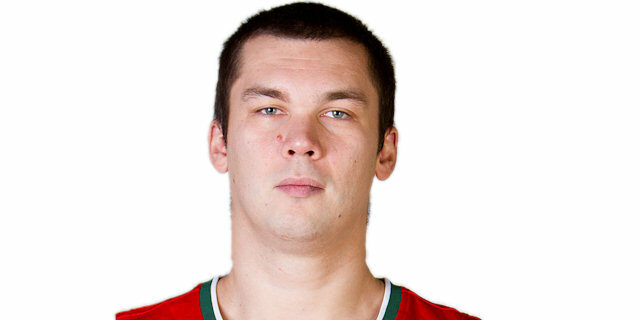 Made his debut with BC Azovmash Mariupol (Ukraine) 2nd team, during the 2003-04 season. Made his debut with Azovmash main team during the 2004-05 season. Signed for the 2005-06 season by SC Mariupol, also played few games with Azovmash. Signed for the 2006-07 season by SK CHerkassy Monkeys. Signed for the 2007-08 season by Utah Jazz, also playing with Utah Flash, NBDL. Played with Utah Jazz till the 2010-11 championship. Signed in March'12 by Indiana Pacers. Moved to Ukraine for the 2012-13 season, in January'13, signed by BC Donetsk. In January'14, signed, for the 2013-14 season, by Delaware 87ers, NBDL. In March'14, signed by Canton Charge, NBDL. Moved to Russia in November'14, signed by Avtodor Saratov. Led the 2014-15 VTB in rebounding (10.1 rpg.). Has been member of the Ukrainain U-18 and U-20 National Team.